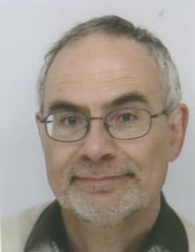 Martin is a UKCP Registered Psychotherapist, who works with both children and young people, and adults. He is also a specialist speech and language therapist, specializing in mental health, learning disabilities, and autistic spectrum disorder. Martin has been practising as a psychotherapist in Suffolk for 9 years. He also has 25 years experience working as a speech and language therapist in numerous roles for the NHS and for independent organizations, and is now in independent practice.His roles currently include: seeing adults and children for counselling, including working as a school counsellor, lecturing on a BACP approved counselling course; running workshops; and other teaching commitments in the area of child mental health. Since qualifying as a speech & language therapist in 1998, Sarah has worked in a range of NHS roles, more recently working as an independent speech & language therapist and communication consultant.She specialises in working with children and young people who are experiencing a combination of communication and mental health difficulties. Sarah is also a specialist in hearing impairment. Counselling sessions take place in a safe environment, on a one to one basis. Younger children often benefit from a play based approach. Therapy makes use of the arts to help those children who have difficulty in expressing what they feel: e.g music; pretend play; stories; painting; sand-play; modelling. We also work closely with families and school staff. Although we have clear guidelines for confidentiality when working with a child, some information is shared with others who know the child, in order that they too, are aware of how the child can be helped. What is shared, and to whom, is always made clear to the child at the start of therapy. Where necessary we will liaise closely with other services, such as childrens’ mental health services, education, social care, etc. Sessions can take place in school or one of our therapy centres in Ipswich. Parent workshops, staff training, and social communication groups for children are also available. Both short and longer term support are available. We will be developing our service in numerous ways over the coming year: please see our page on News updates for further information about these. Laura and Tammy are very experienced teaching assistants, and currently work at a large school for children with learning disabilities. Laura has a keen interest in using the THRIVE approach (see www.thriveapproach.co.uk) for supporting children with emotional difficulties. Tammy is sensory lead at the school. Louise is an Occupational Therapist who is in independent practice. She is very experienced in carrying out profiles of childrens’ sensory needs (see her website which is linked to ours, for further details). Ruth is a specialist speech and language therapist. She has an independent practice near Lowestoft, Suffolk, (see her website which is linked to ours, for further details). Amongst Ruth’s special interests is that of communication and mental health in children. Usha and David are very experienced UKCP psychotherapists, both of whom have established practices in the London area. They will be be involved in monitoring developments and practice standards of our service.